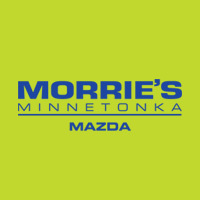 We love our sales people at Morrie’s. 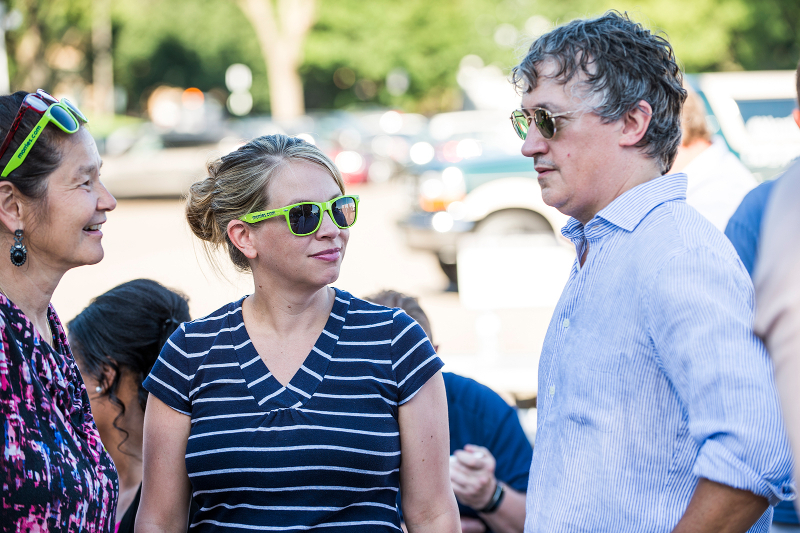 They’re the reason we can say in business and thrive. 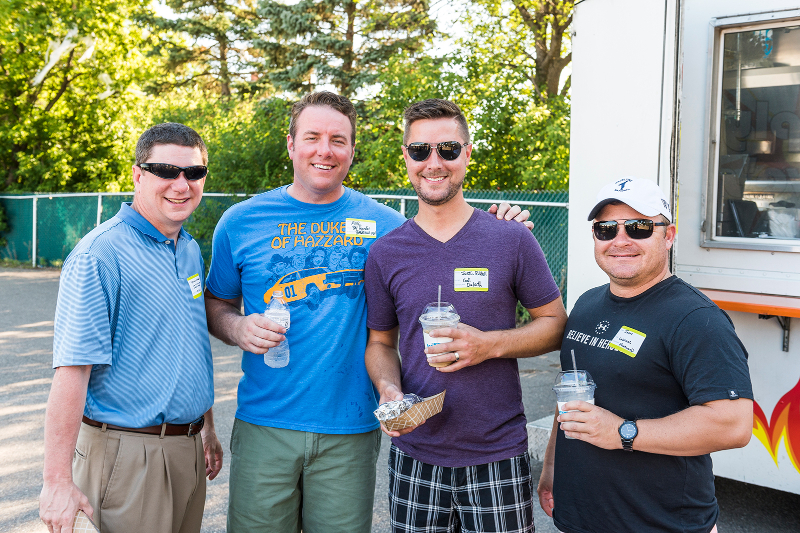 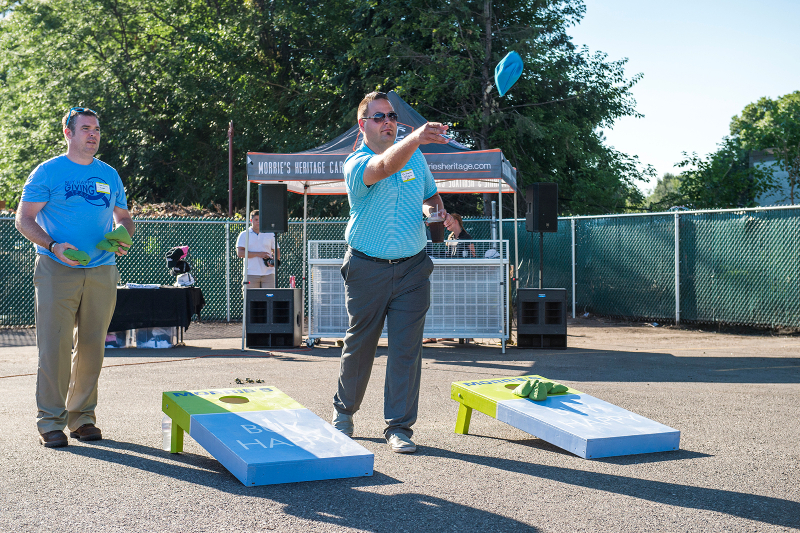 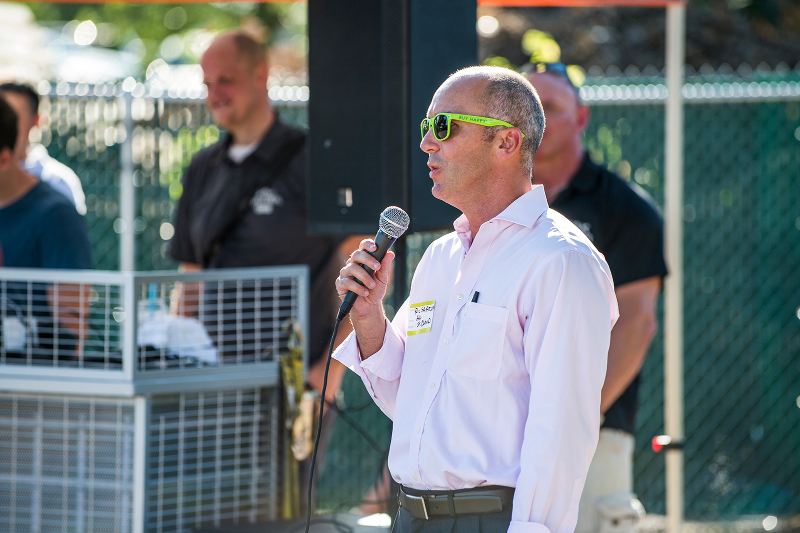 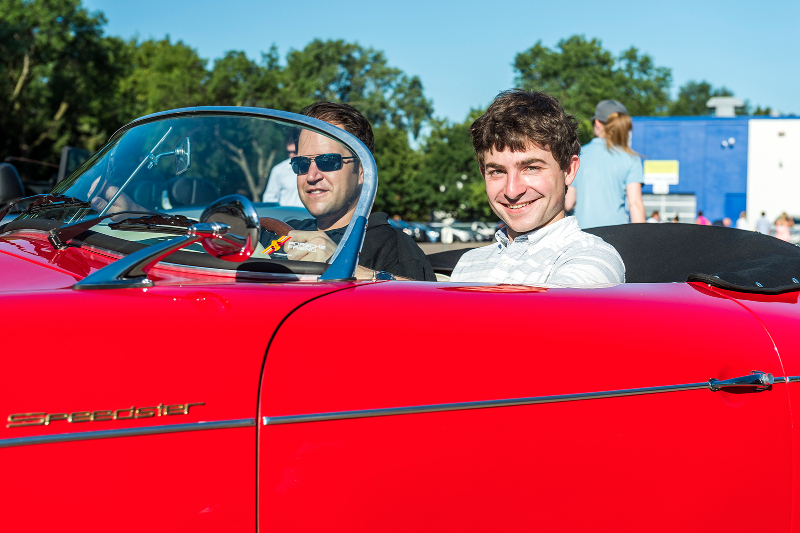 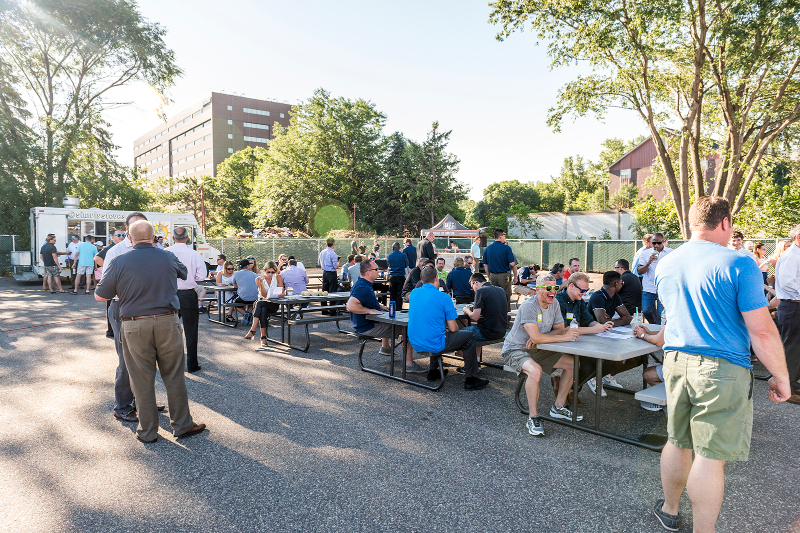 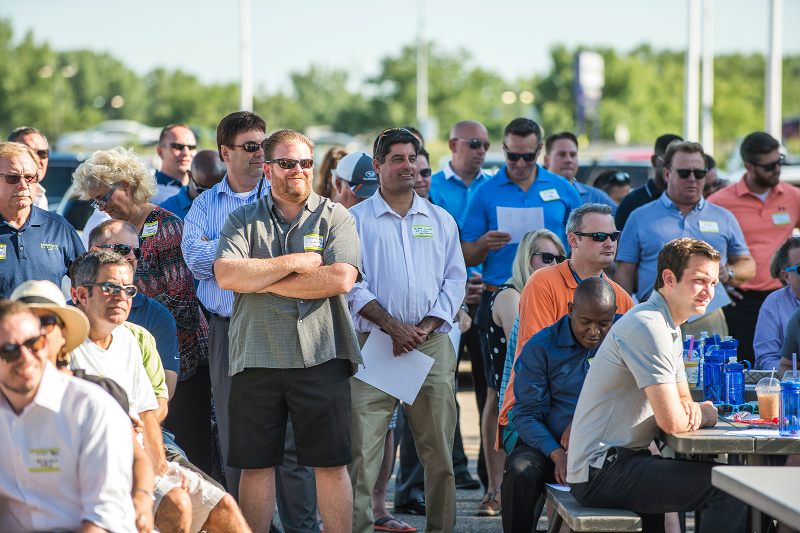 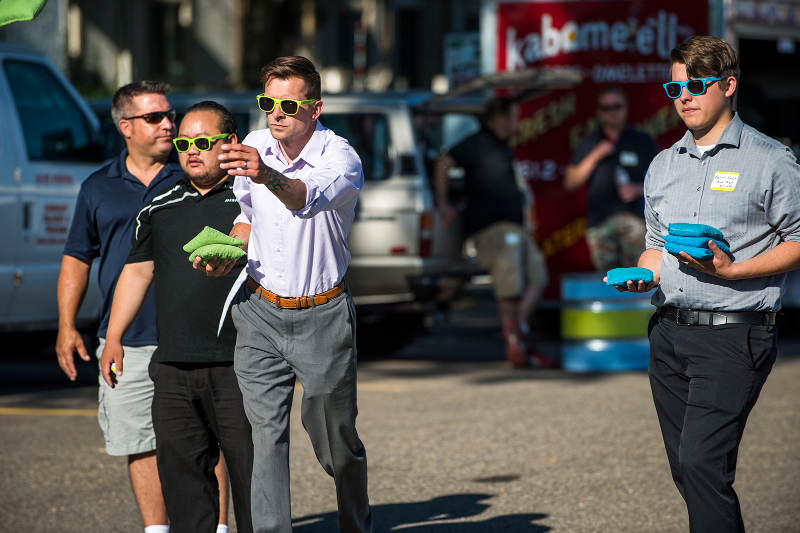 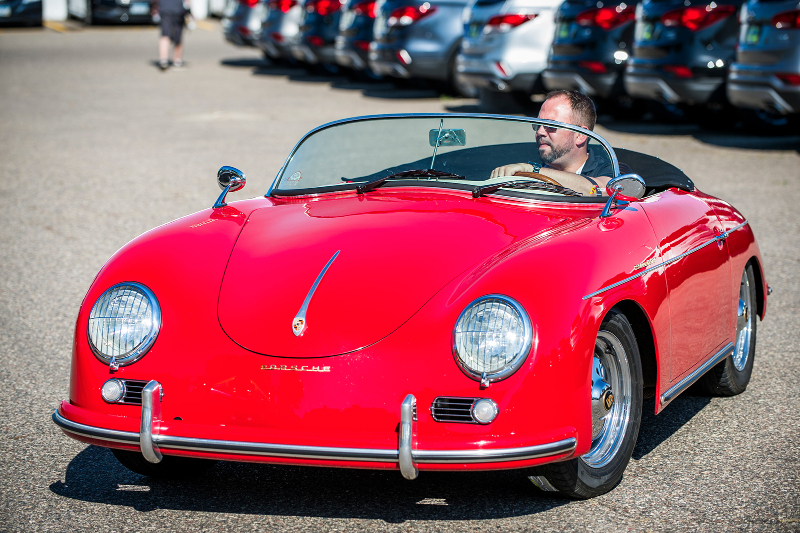 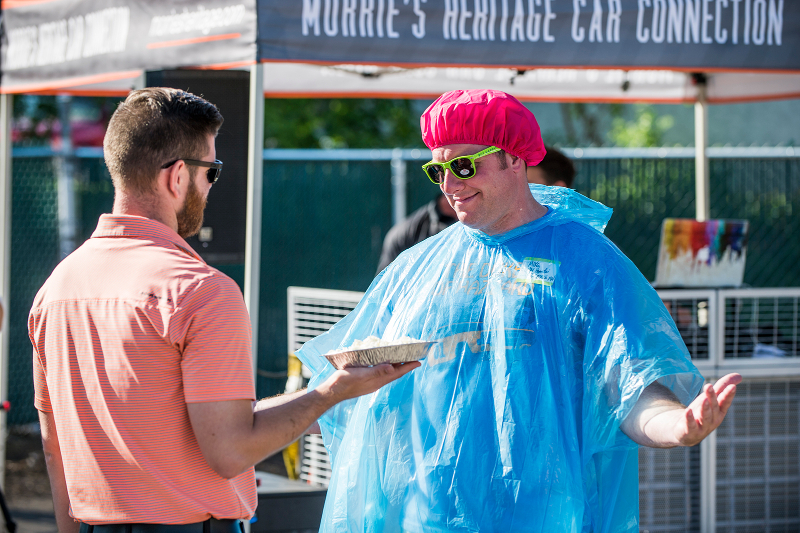 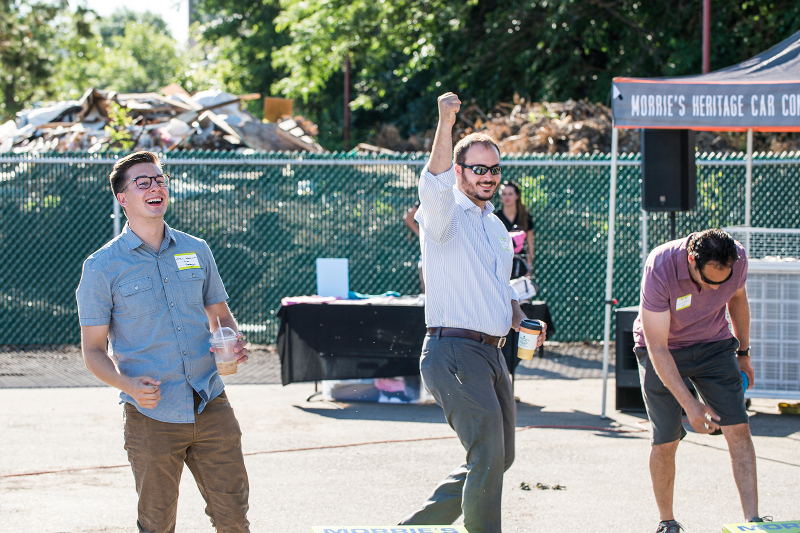 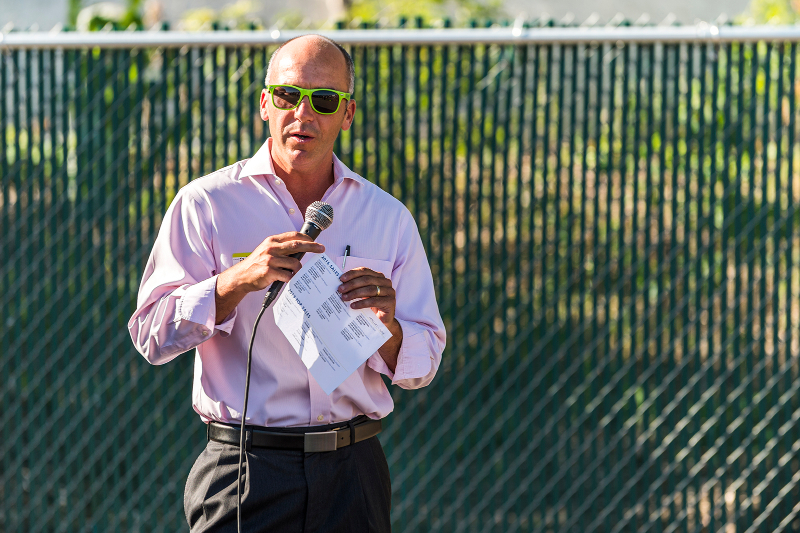 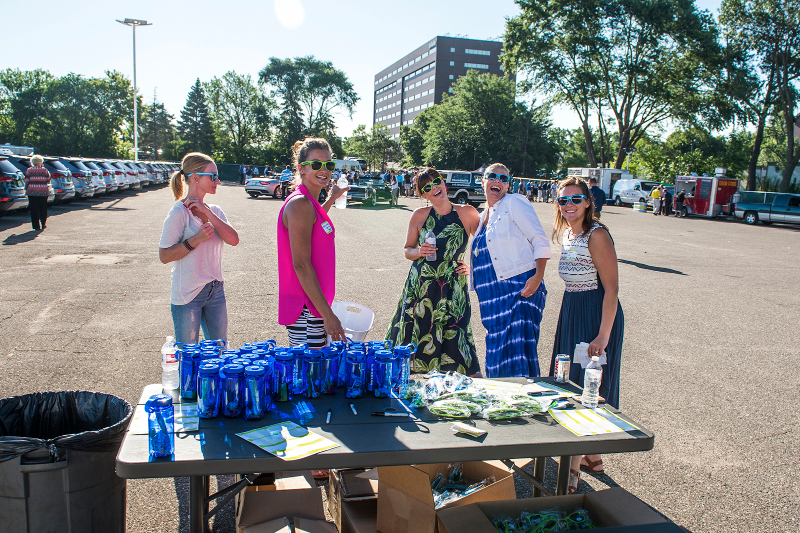 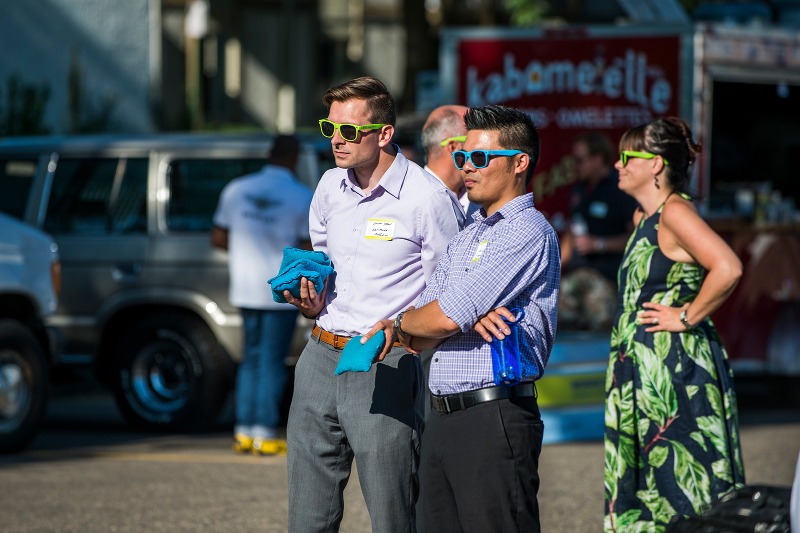 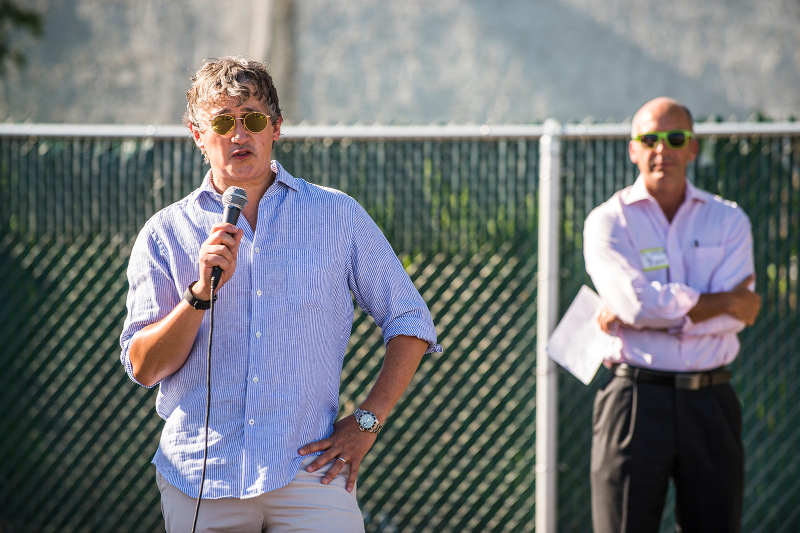 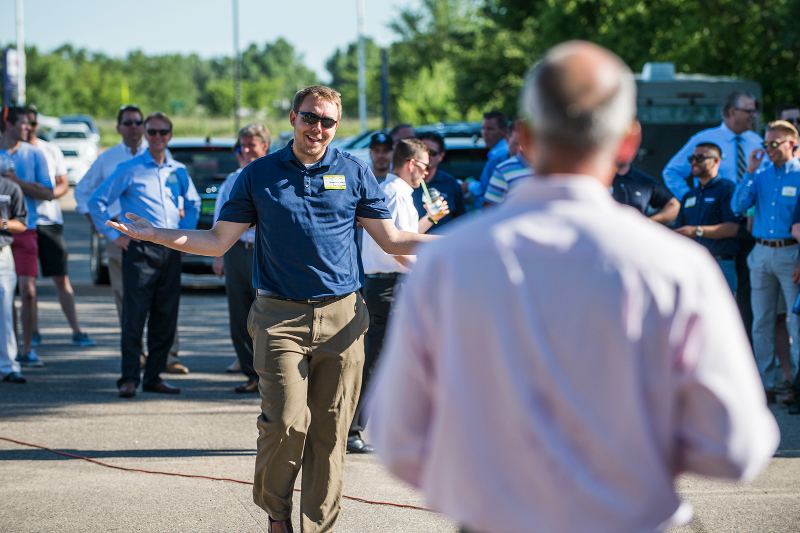 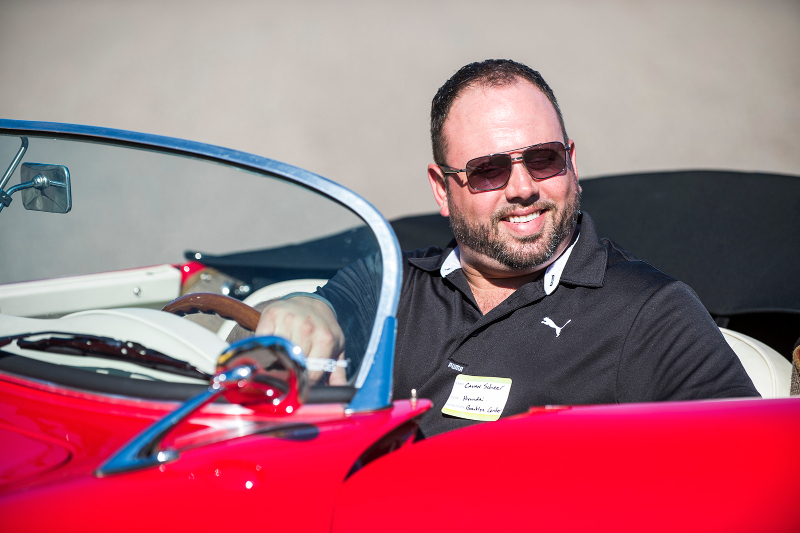 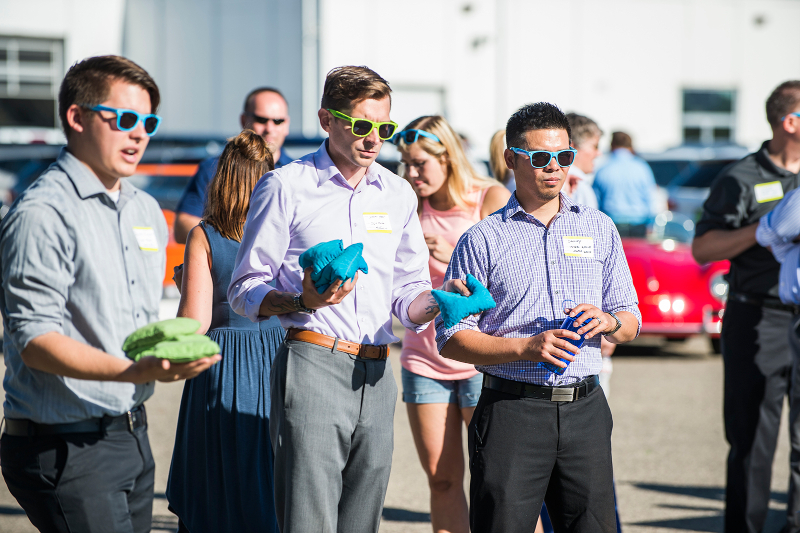 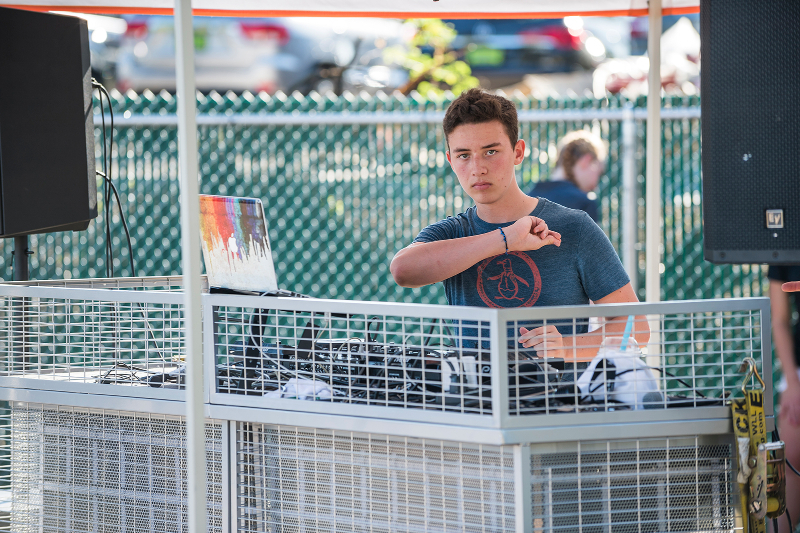 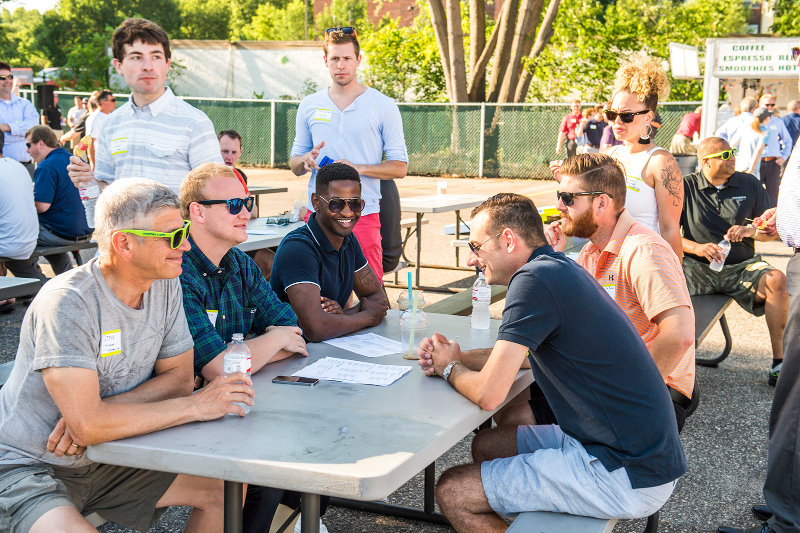 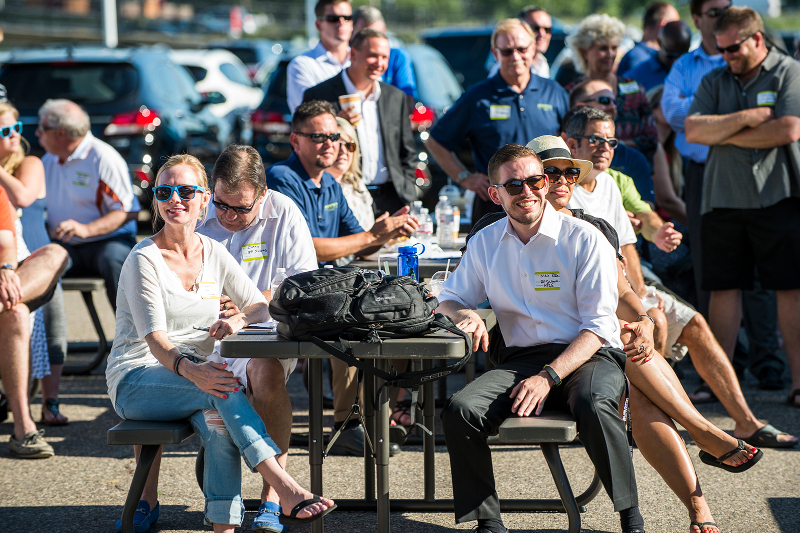 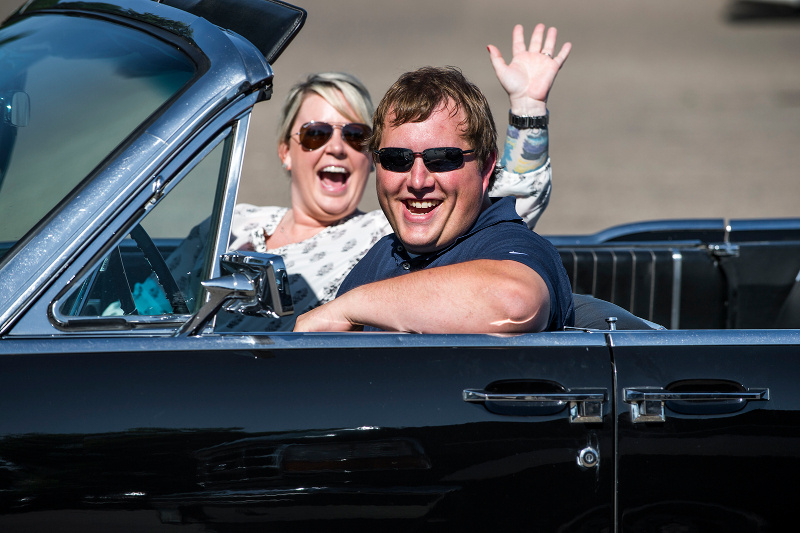 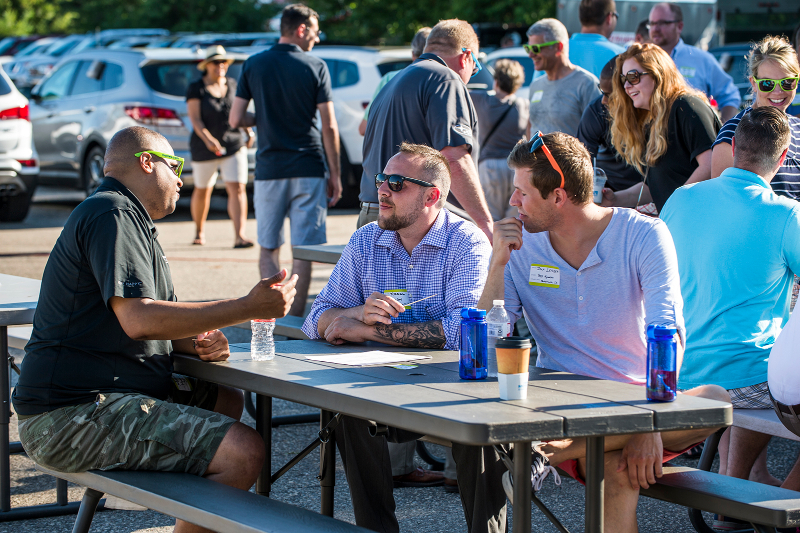 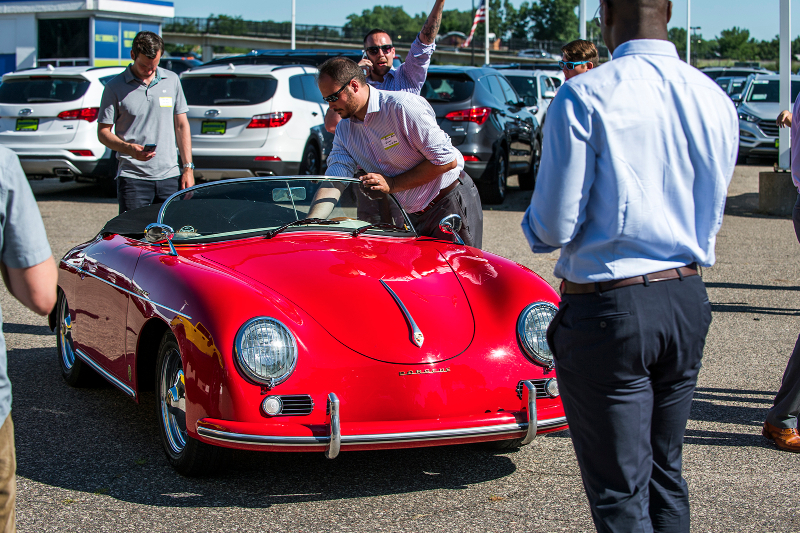 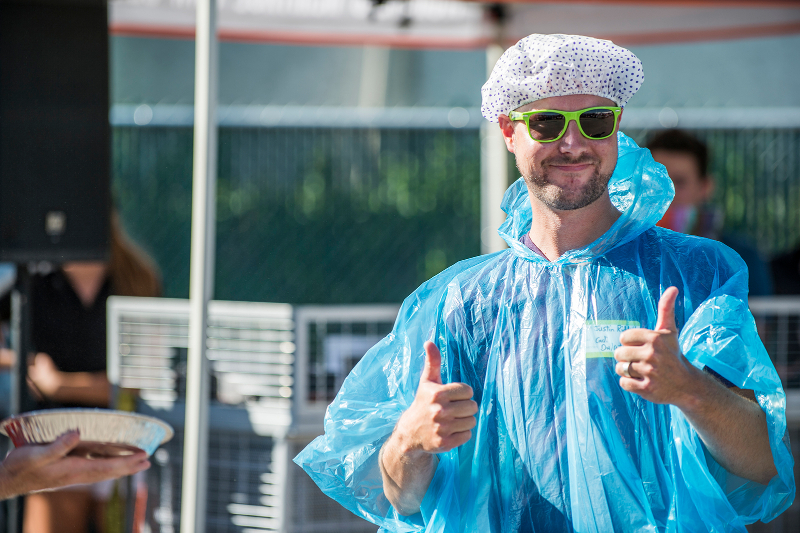 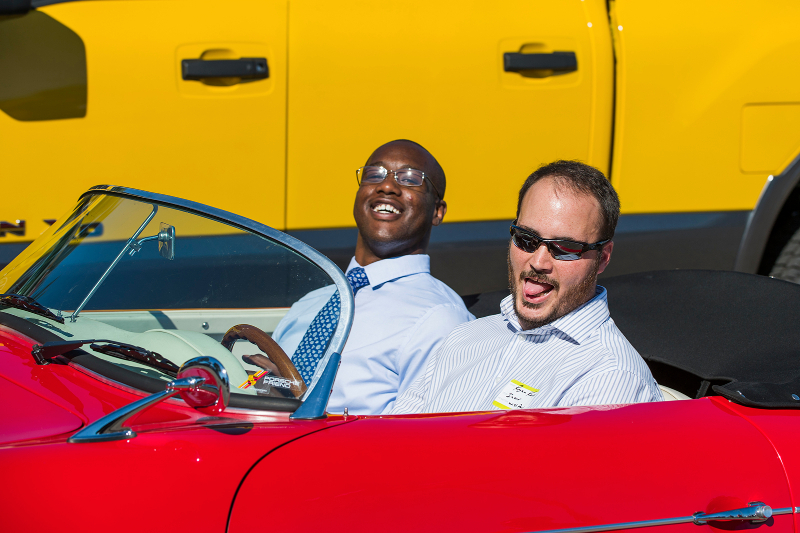 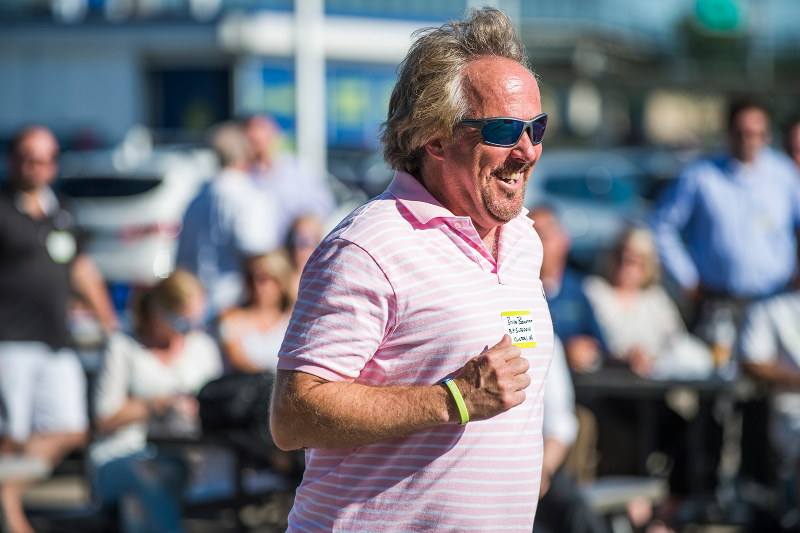 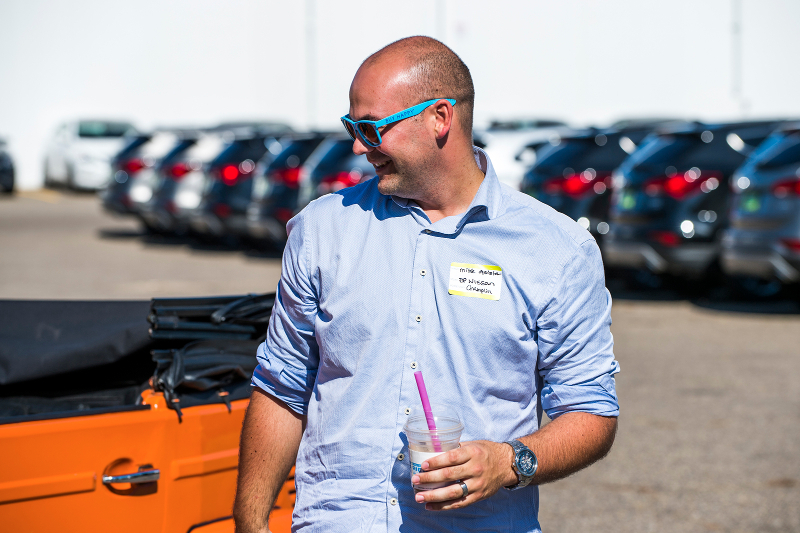 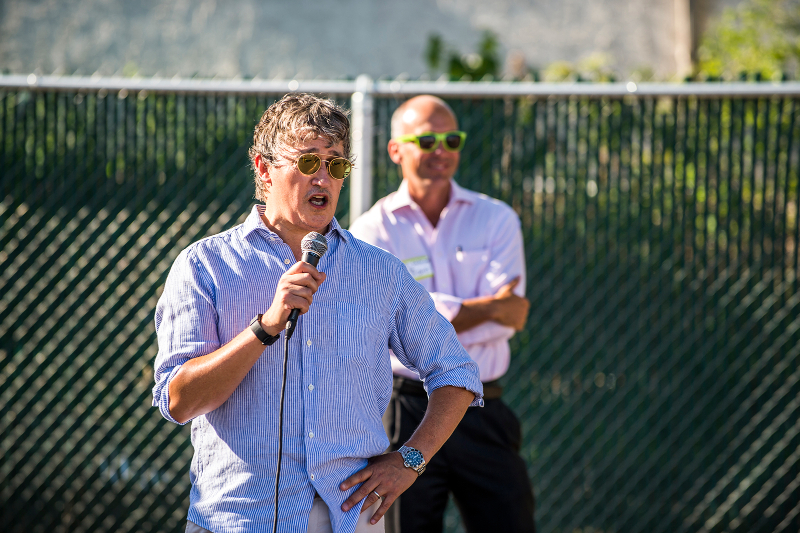 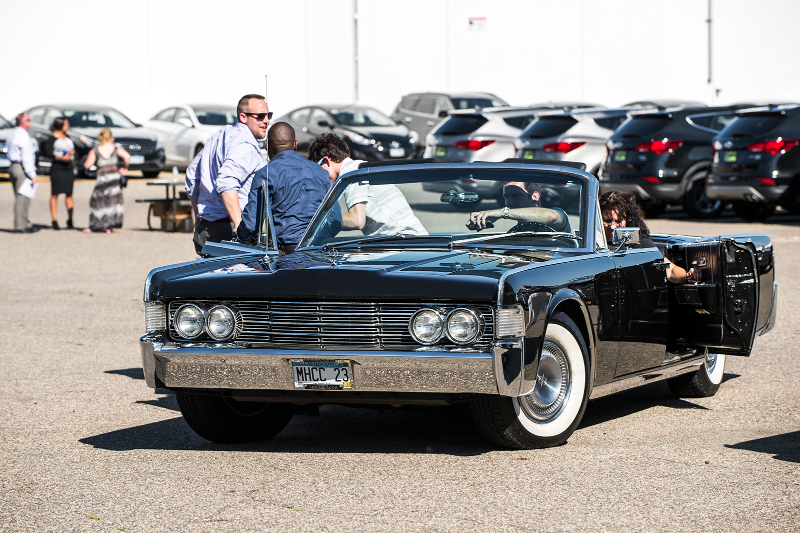 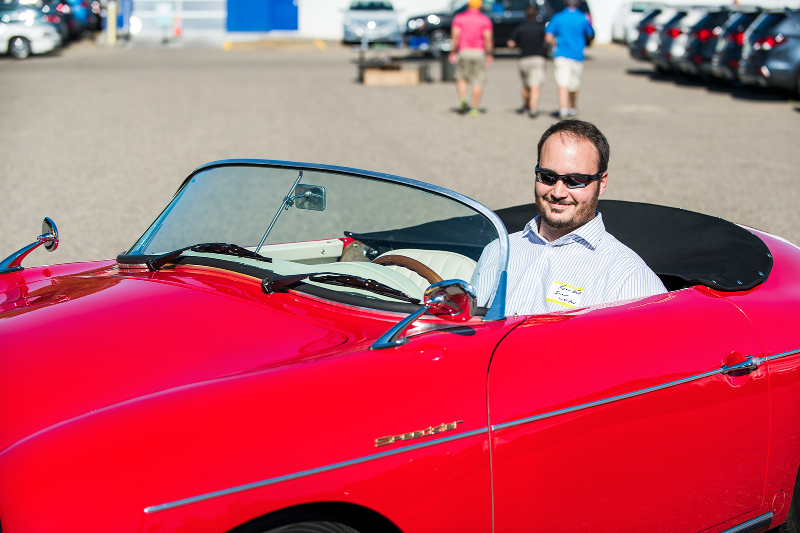 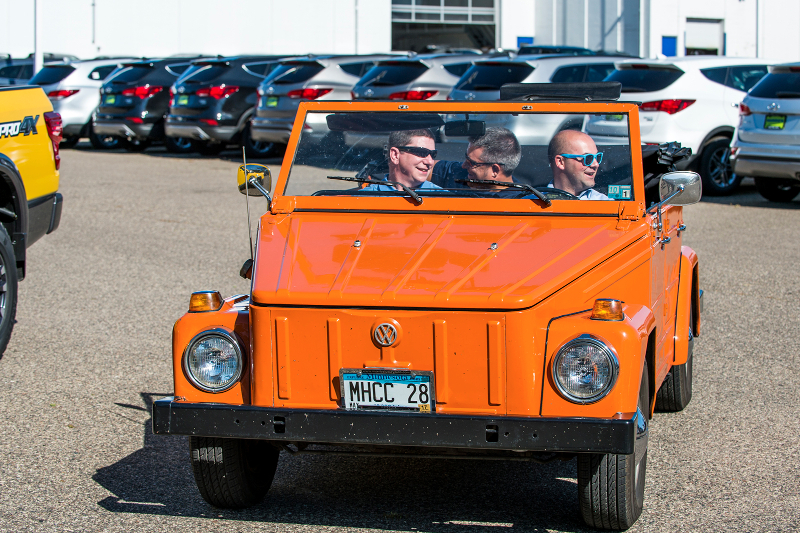 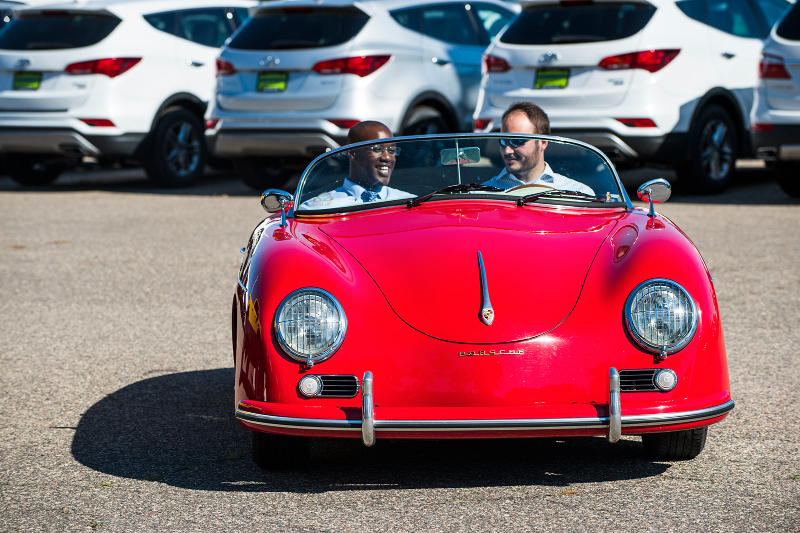 Every year, as a group, we like to thank our sales people with a bit party that includes games, food trucks, Heritage car test drives, and prizes to let them know we appreciate their hard work. 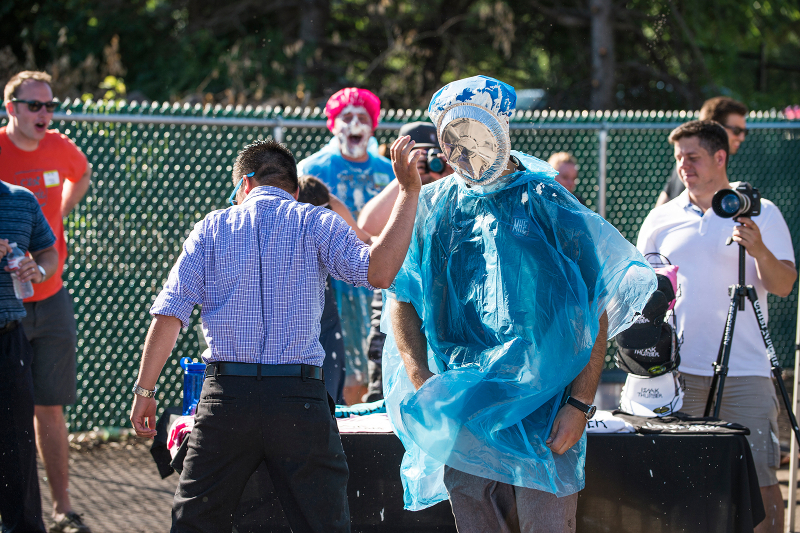 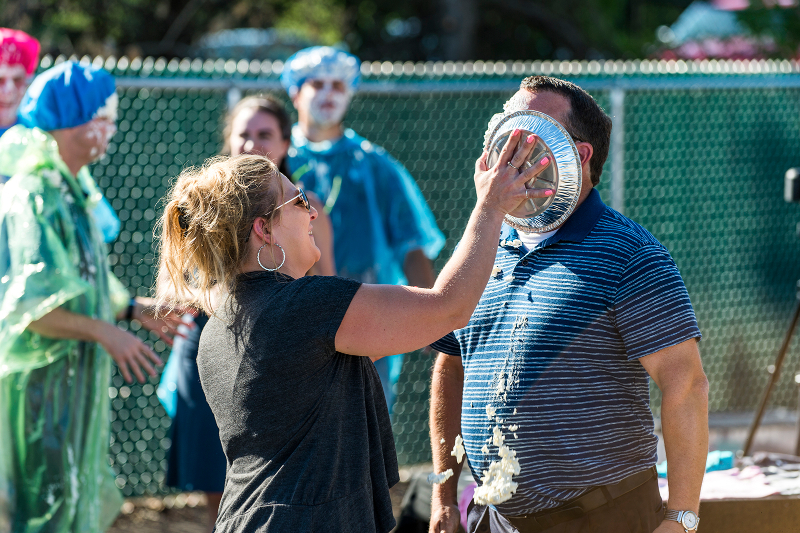 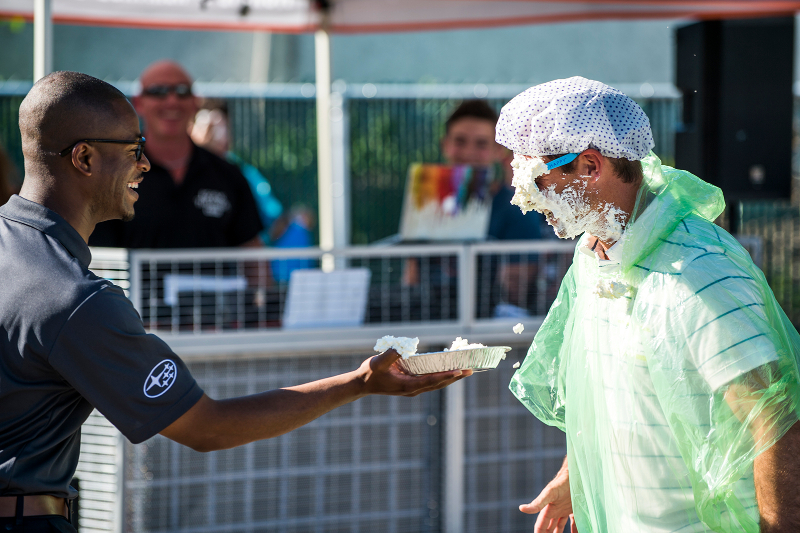 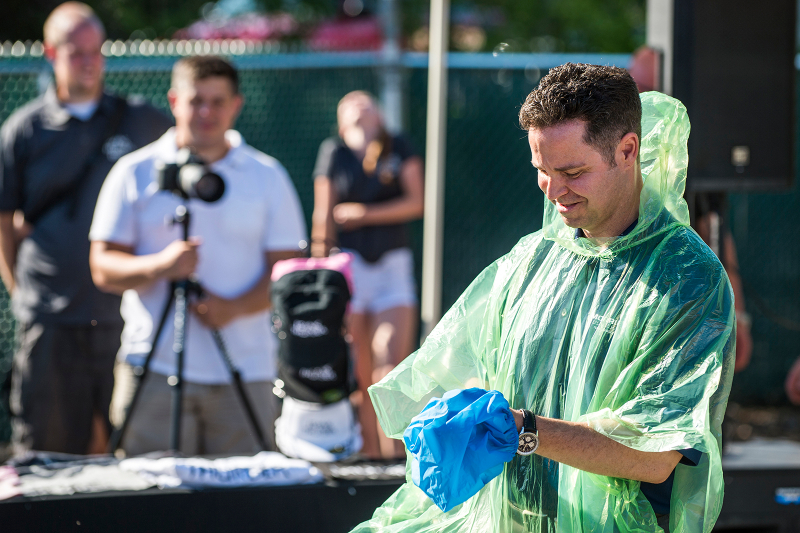 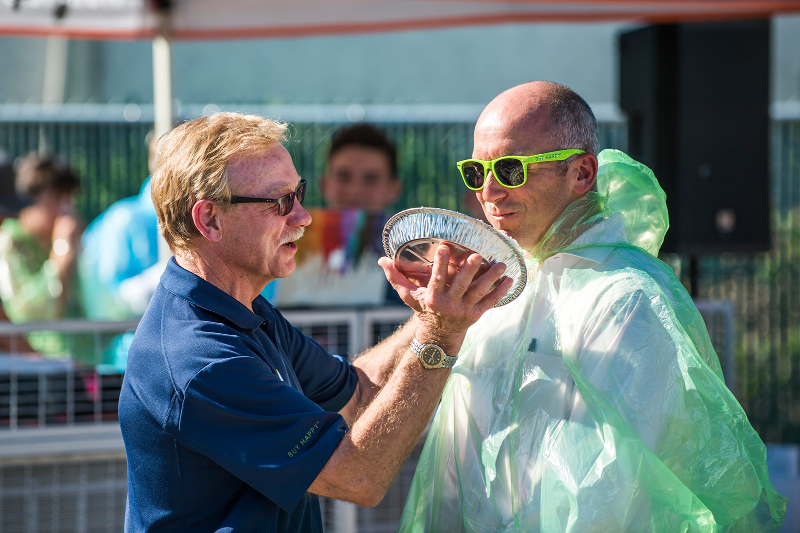 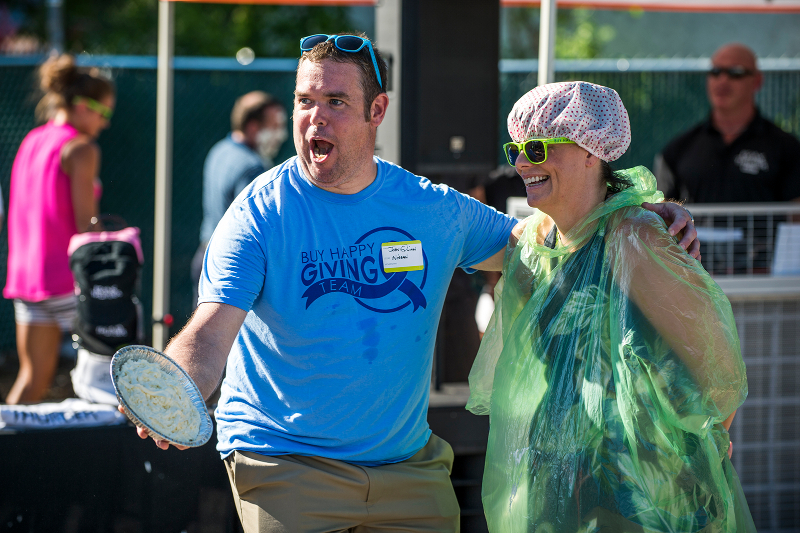 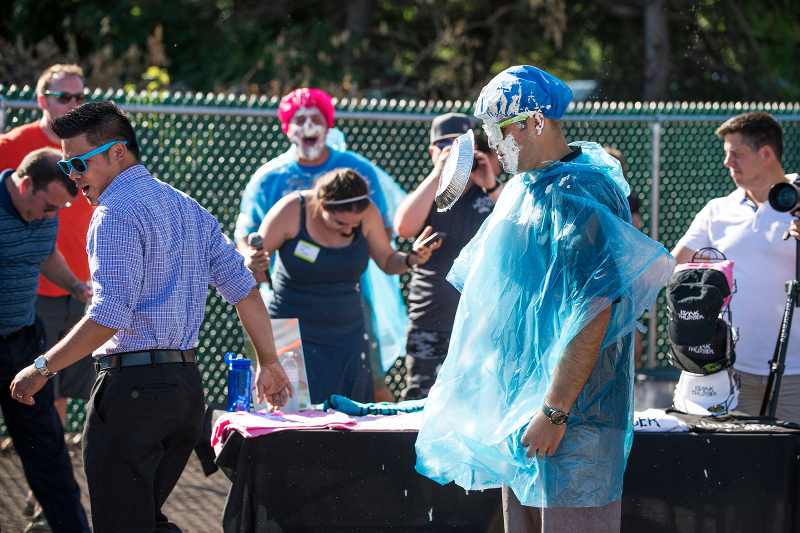 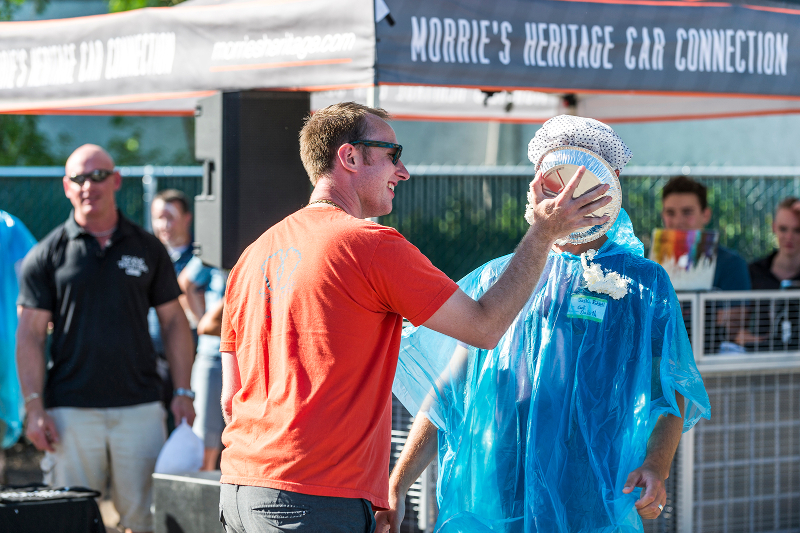 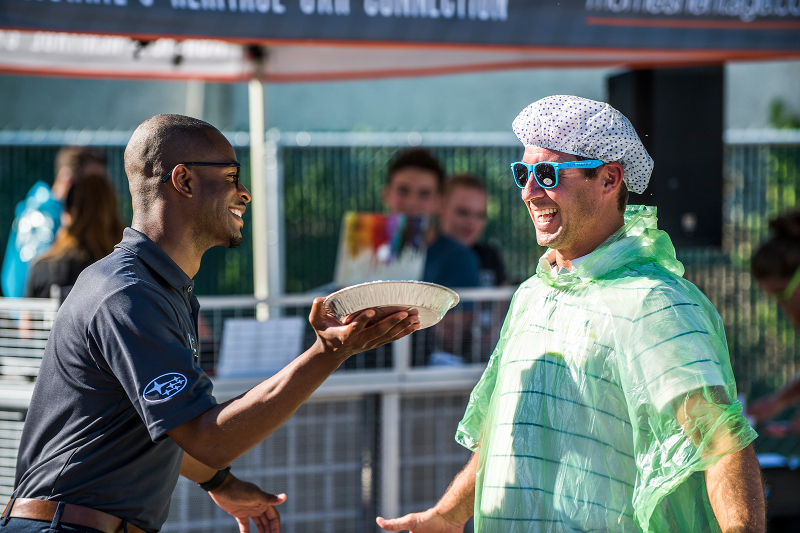 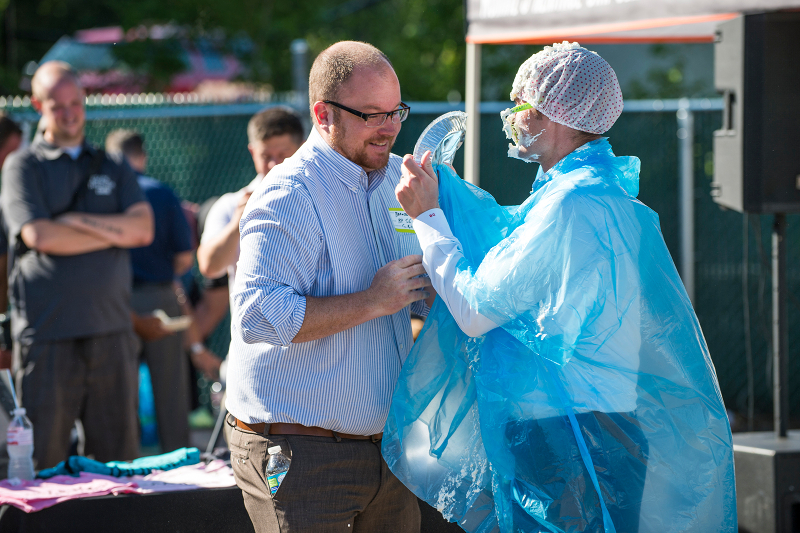 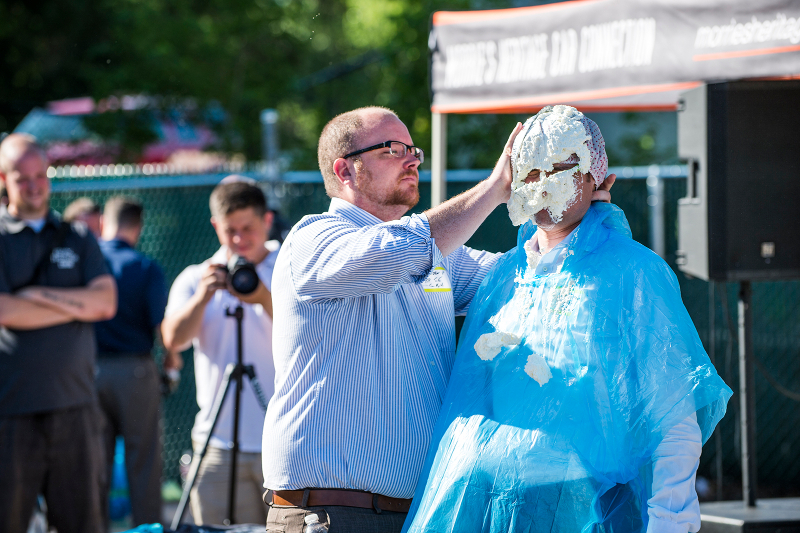 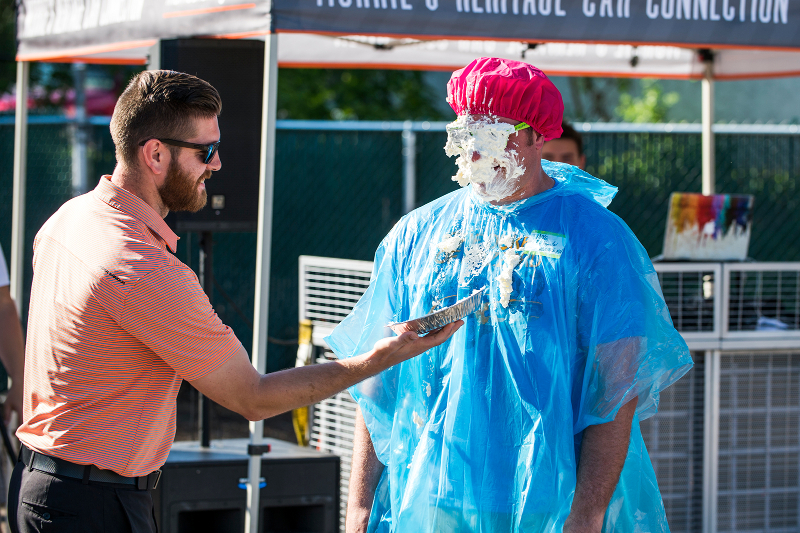 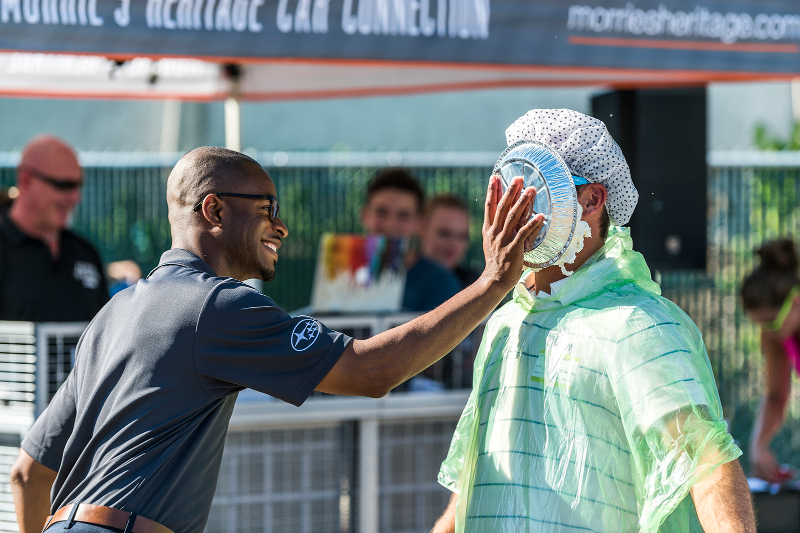 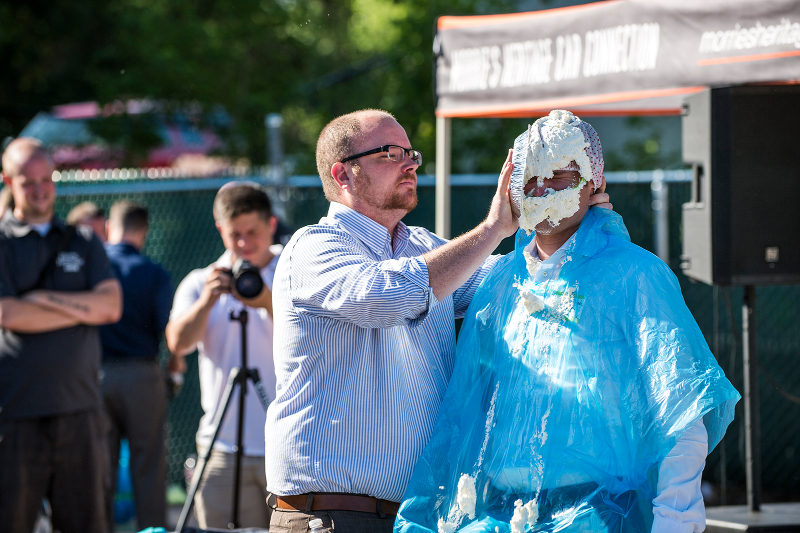 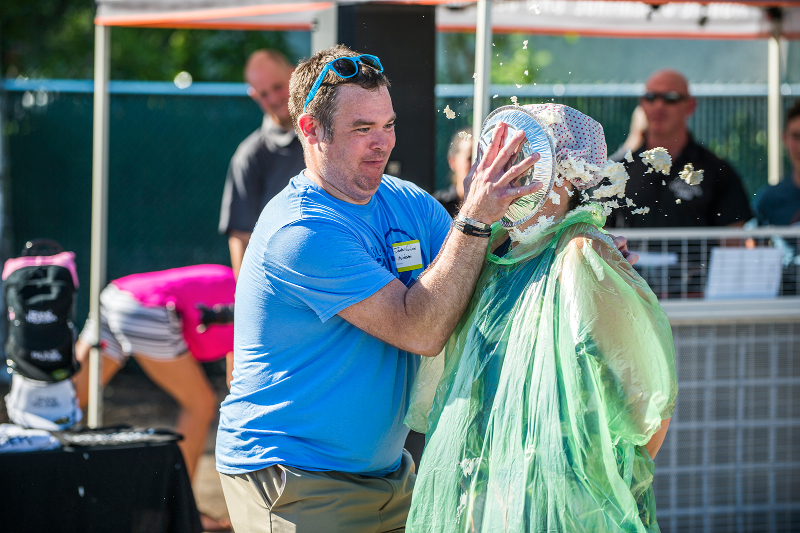 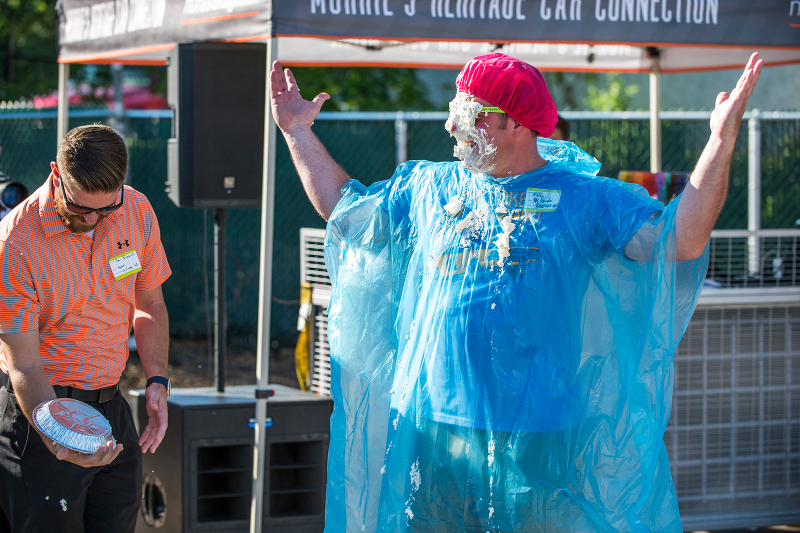 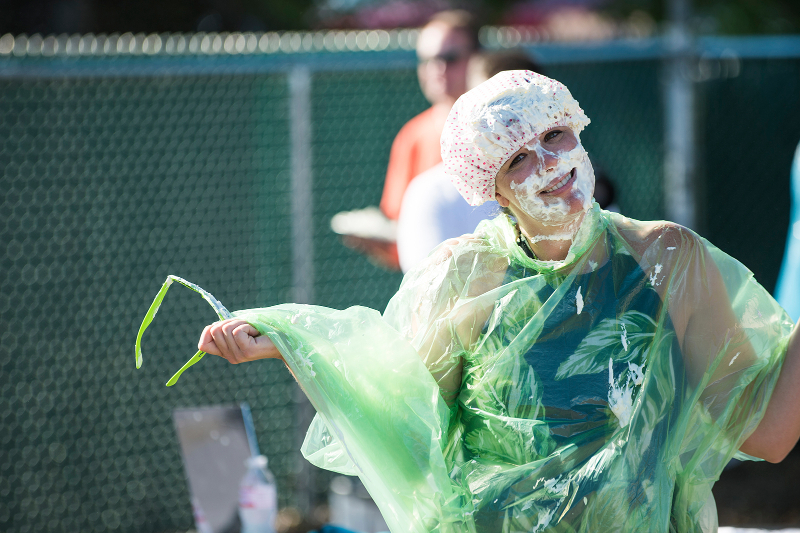 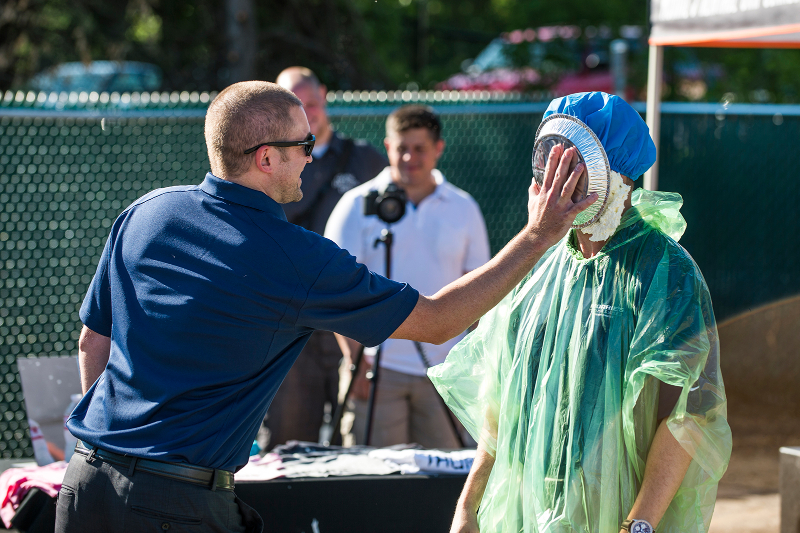 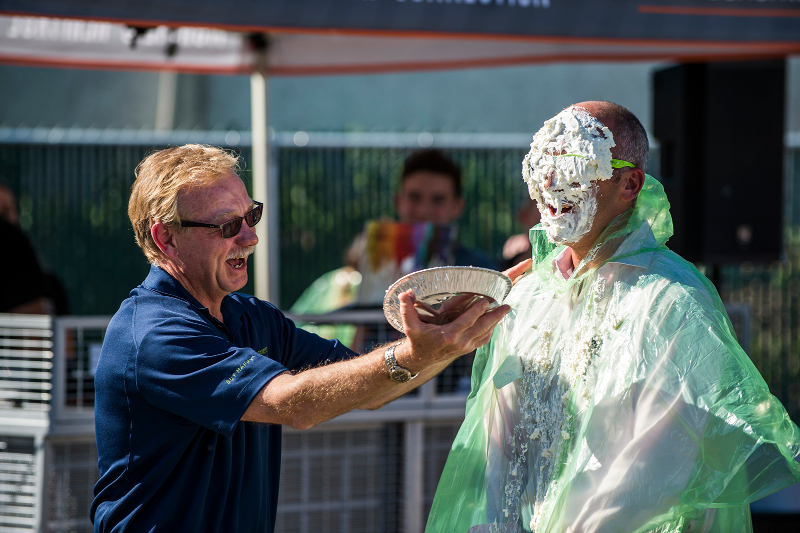 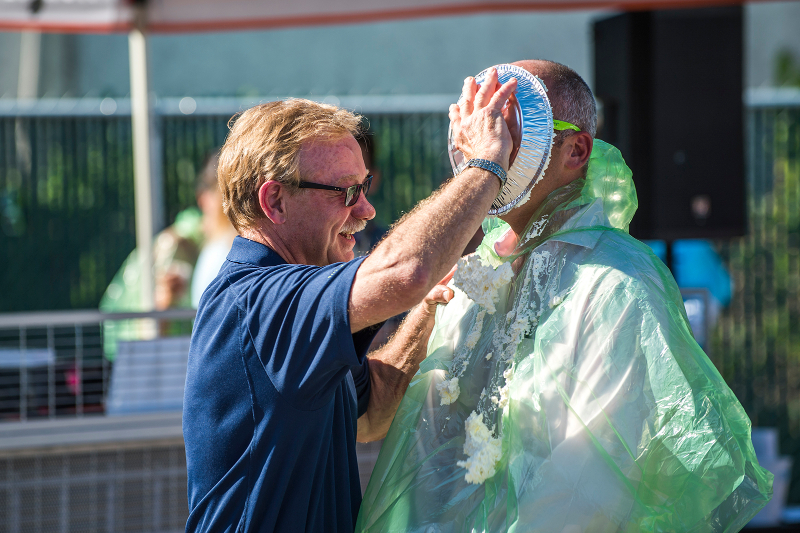 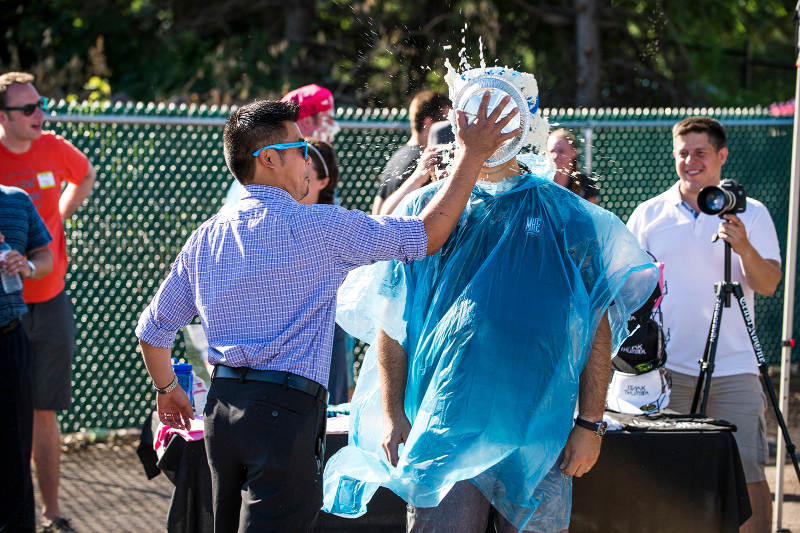 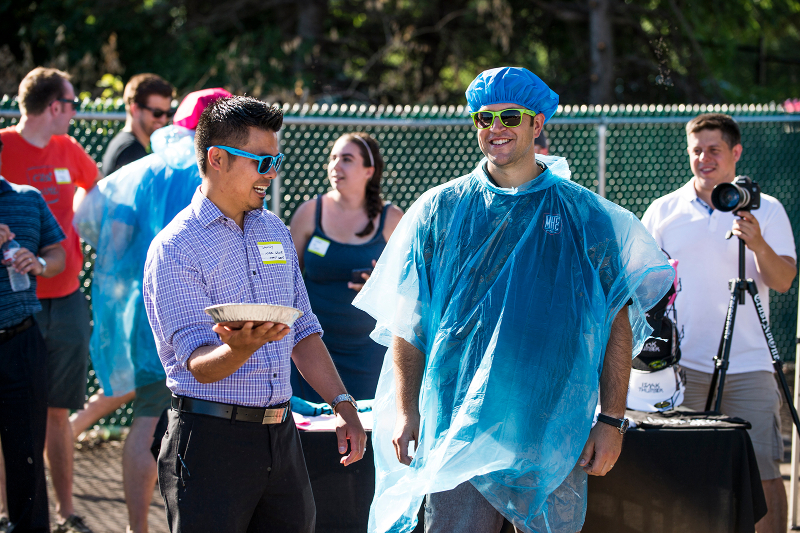 This year, as a special treat, the top-reviewed sales person from each store got to pick a manager or corporate employee of their choice to hit with a pie in the face! 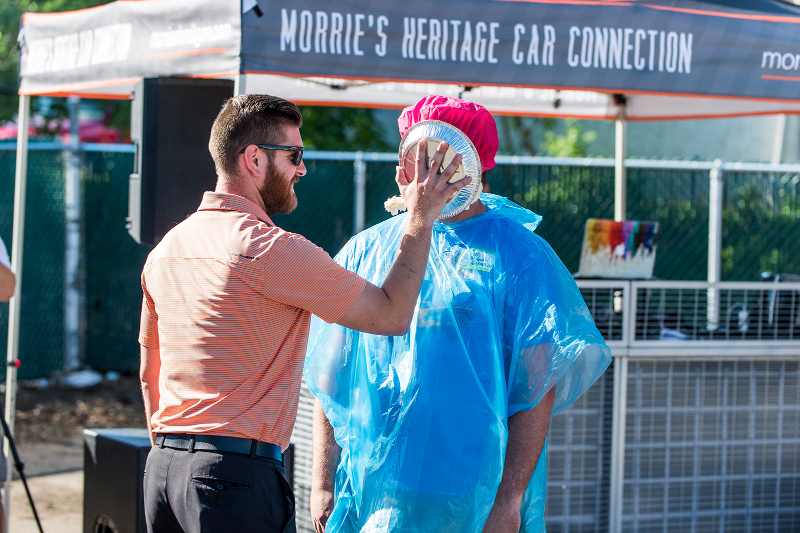 So thanks, sales staff of Morrie’s Auto Group! 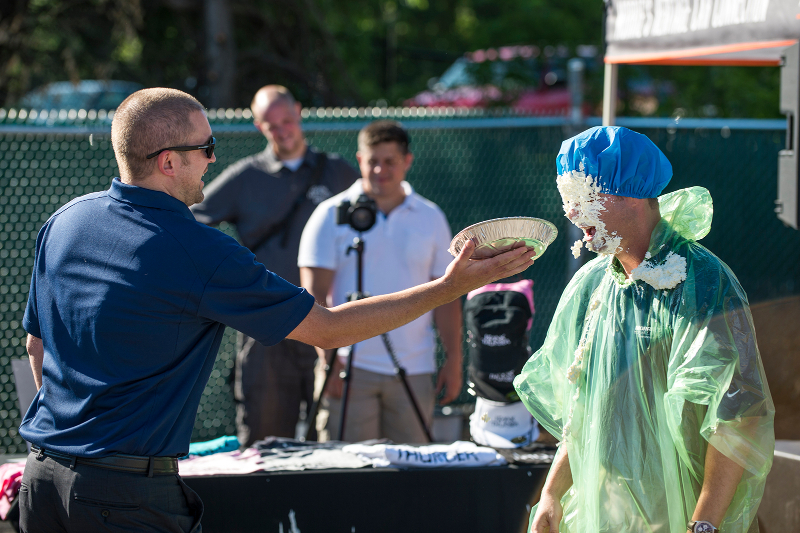 You’re all the best in the business!